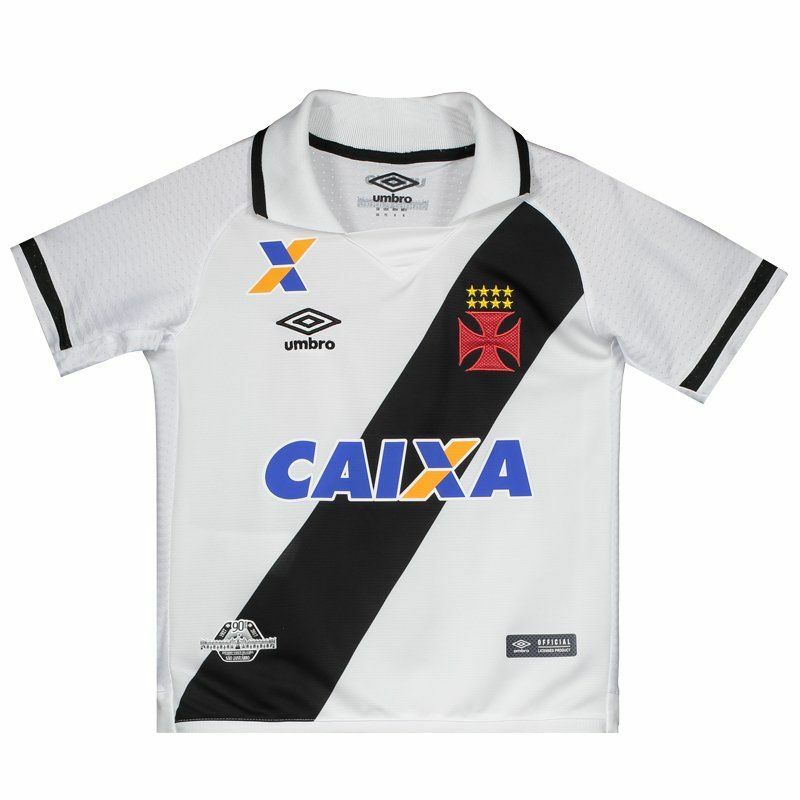 Vasco Away 2017 Kids Jersey, manufactured by Umbro, features the number 10 on the back. The piece is made of lightweight polyester and its design is composed of white with black in the traditional cross strip. It offers name customization. More info. 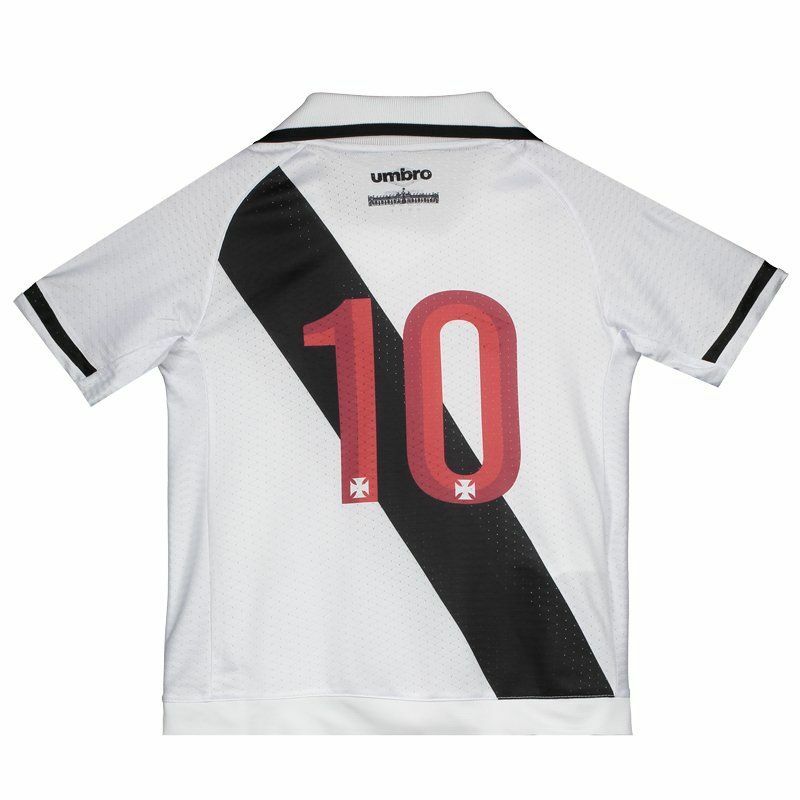 Vasco Away 2017 Kids Jersey, manufactured by Umbro, features the number 10 on the back. The piece is made of lightweight polyester and its design is composed of white with black in the traditional cross strip, which cuts the shirt on the front and back. The Maltese Cross, the team's badge, is embroidered on the left side of the chest, already on the right side of the supplier's logo. In addition, a stamp commemorating the 90 years of San Januário is present near the bar, while an image of the stadium is present below the nape, as well as the sponsorships scattered around the mantle. Finally, his collar is polo with differentiated cut and complementing the details, brings small screens in breathable mesh, that help in the evaporation of the sweat of the young fan.